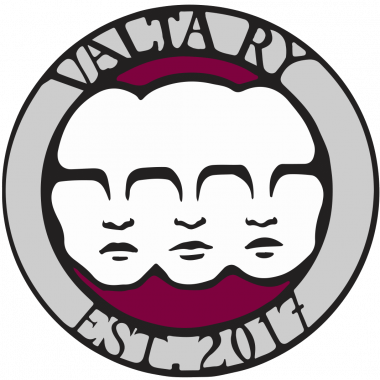 Valta ry is a registered association of all the students studying Politics and Communications in the Faculty of Social Sciences at University of Helsinki. The main purpose of the association is to organise various kinds of events for our members, such as parties, cultural events or visitations to different organisations and institutions. Additionally, Valta’s main purpose is to ensure that the interests of students of Politics and Communications are taken into account when making decisions in the faculty. Thus, Valta acts as a link between the students and the faculty. Everyone studying in the Bachelor’s or Master’s programme in Politics and Communications is welcome to join Valta. The board of the association is selected annually in December. The board consists of approximately ten people selected among the students, and we have a special member of the board keeping in touch with international students’ association CISSI and taking care of anything regarding our exchange students. If you have any ideas, hopes or proposals for the board, you can send them personally to any of the board member or alternatively through the feedback form. You can find the contact information here. Along with our Finnish students, the international students are very important to Valta. We inform about our events both in Finnish and in English, and we hope to see exchange students in our events! You can subscribe our email list by sending “subscribe valta-lista” (without the quotation marks) to majordomo(at)helsinki.fi. The message does not need a heading. You can resign from the list by sending “unsubscribe valta-lista” to the same address. Remember to follow us also on Facebook and Instagram!